There are days in my life when I feel so satisfied with what I do. Sometimes the road of a campaign like ours can be trying as company after company reject your sponsorship applications, or you see people continuing to trash the world we live in. However our crusade to change the way people treat our oceans takes us to many wonderful places and we meet so many heart warming people who have a passion. Today I was reminded of our visit to the little atoll of Fakarava in the Tuamotu’s. 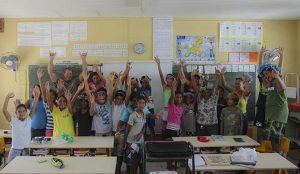 I received an email from the students at the local school that we visited when we sailed through there early last year. 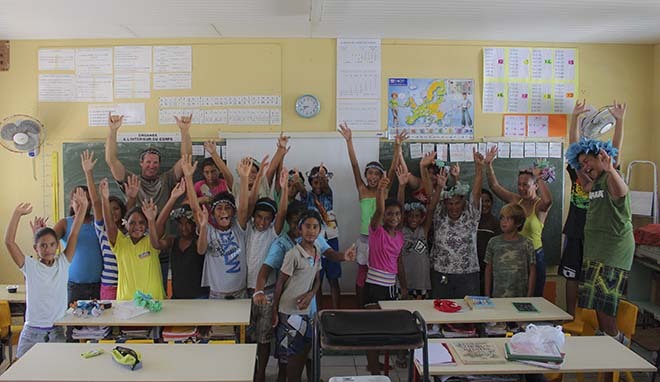 I recall turning up in the little township of Fakarava and the local dive shop told me to go to the school the following morning and ask for Chantal, the principal. So the following morning we are at the school and sitting on a bench waiting for Chantal to turn up. Now when we visit a school in Australia we have to ask the principal if we can talk to the class. 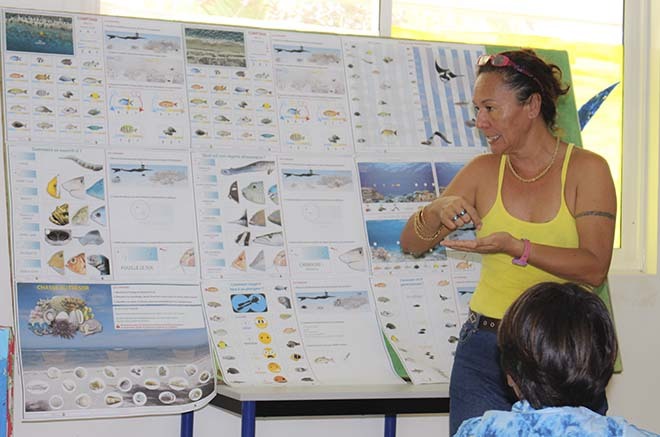 We then have to show them what we are going to present and then we have to get the teachers on board. It is usually a long process. So when Chantal turns up and we tell her who we are, she simply says ‘Come on in.’ We are introduced to the class she is teaching and we present our lesson. The students were awesome. There passion for their own environment is very special. 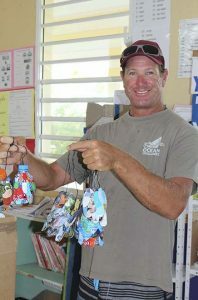 The classroom had recycling centres where they build craft from recycled material. 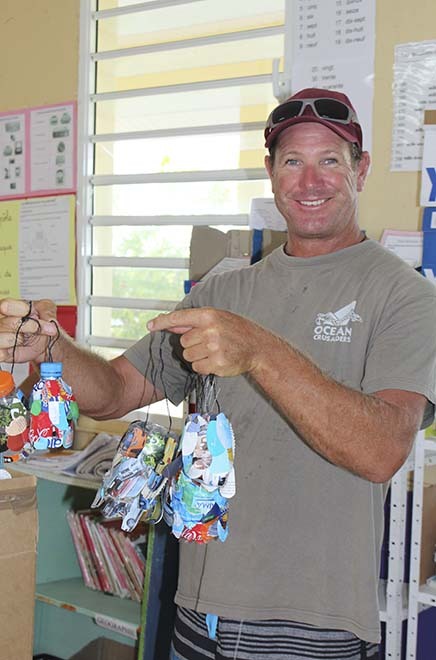 They had used recycled material to make pen holders for their desks, they were growing plants and they had even made Christmas decorations out of recycled bottles. The best thing about the classroom was that they didn’t have world charts on their walls like most schools around the world. They actually had nautical charts of their islands. If you ever get a chance to visit the Tuamotu’s you really have to. The Tuamotu’s are located West of Tahiti. It is still part of French Polynesia. Fakarava is one of the larger atolls. Below is their letter to me. I have left it unedited as they are still learning English, along with French and their local language. How are you. I wish you a good year . It’s been a long time you went here on this island of Fakarava. We just go on protecting sea and turtles. On june, the label of biosphere will be removed. At school, we still study in french, in english and local language and we try to learn good maners to keep our planet clean and peacefull.